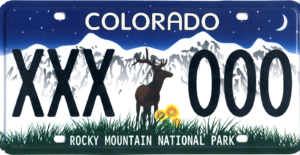 The Conservancy administers the official Rocky Mountain National Park Group Special License Plate, which is available to Colorado-registered vehicle owners. It does not replace the standard Colorado state license plate but is a voluntary fundraising option through the State of Colorado’s Group Special Plate program. 100% of your license plate donation ($30 minimum) supports vital projects and programs in the Park. For example, in 2017, these funds helped to launch a new Conservation Corps program ­‑ the High School Leadership Corps. This program engages students in conservation projects, leadership development, and environmental education during an immersive two-week internship experience in the park. With thousands of Rocky Mountain National Park plate sets already on the road, this initiative has already raised well over $150,000 for Rocky. How do I get the plates? Make a minimum $30 one-time donation to the Rocky Mountain Conservancy’s License Plate Program at www.RMConservancy.org. (Note: This covers a set of two plates, which are required in Colorado for each vehicle.) Donations must be specific to the license plate program and may not be combined with membership dues or other/earlier donations. Each plate set requires a separate donation (per vehicle). All license plate donations are non-refundable. Please note that the DMV will assess two additional $25 fees for specialty plates ($50 total). 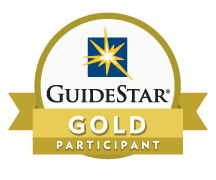 When we receive your donation, we will issue you an original approval certificate by mail (please allow 10 business days for processing, plus several days for postal delivery). Please note: We cannot issue your certificate while you wait. *PLEASE NOTE: Our offices and Nature Stores are not equipped to take walk-in donations. How do I obtain my plates? Present your original approval certificate to your county motor vehicle office. Your county motor vehicle office will assess two $25.00 one-time fees ($50 total) in addition to regular taxes and registration fees. All fees are due at the time of registration. Note: The qualifying certificate will be retained by the county upon issuance of the license plate, or upon approval for a personalized plate. This plate will be part of the state’s Print-on-Demand program — it is not kept in inventory. Once the plate is requested, it will then be mailed to the customer. This program helps to limit the experience to a one-time visit of the DMV and allows the customer to request any plate. How long will it take to receive my qualifying certificate? Certificates are mailed through the U.S. Post Office. The State of Colorado will not accept emailed or digital versions at this time. Please allow ten days for processing and several days for postal delivery. Please plan ahead! Do my Rocky Mountain Conservancy Membership dues count as a donation that I can use for the plate? No, they do not. Donations must be specific to the license plate program and may not be combined with membership dues or other/earlier donations. I recently made a donation to another fund. Does that count towards a license plate? No, it does not. Donations must be specific to the license plate program and may not be combined with membership dues or other/earlier donations. How much of my donation will go to RMNP? 100% of donations to the RMNP License Plate program will be directed to Rocky Mountain National Park. 100% of your donation will be directed to the Rocky Mountain National Park License Plate Fund. Use of these funds will be determined by Rocky Mountain National Park and the Rocky Mountain Conservancy Board of Directors. Funds will be used exclusively in, or to support, Rocky Mountain National Park. Can I get an RMNP plate for my motorcycle? Yes. The process is the same. How do I apply for a personalized license plate? (Please be aware that the center logo will not appear if the Rocky Mountain National Park license plate is personalized.) Please complete DR 2810 – Personalized License Plate Application. Upon completion, submit your application, along with the original Conservancy-approval certificate, to the Colorado Department of Revenue, Motor Vehicle Registrations, Denver, Colorado 80261-0016. When your personalized plate is approved, you will receive a billing notice requesting payment of the processing fee. Your local county motor vehicle office will notify you in approximately 3 months that your plate is available to register your vehicle. The county will assess regular taxes and registration fees, due at the time of registration. The department will not honor a change of choice or spacing, or a request for a refund after payment has been received.